Zanotto’s Willow Glen Market – Open! This morning just after 9 AM a crowd of shoppers began to gather at the door of the new Zanotto’s on Foxworthy Ave. As we waited for the 10 AM opening we enjoyed complementary doughnuts from Krispy Kreme – Mountain View, and talked about how happy we all were to get such a quality market in the Willow Glen area. My first impression on entering the store was good. The layout and shelf set-up felt comfortable and pleasing. The produce looked very fresh and inviting. I picked up two containers of beautiful organic raspberries. Marty Threlkeld offered me a tasty sample cup of Evolution. My next find was a carton of Marrianne’s Ice Cream. Yes, from Santa Cruz! At the meat counter I talked with Rick Zanotto about chicken and beef. He assured me that they only sell California chicken, which is important to me. And I also learned that they carry Piedmont beef by Montana Ranch Brand. They have a good selection of wine including Zanotto’s own label. If you have shopped in Zanotto’s there is no need for me to go on and on about the deli, but oh the panini sandwiches! This just in from Dale Tibbils: Our opening has been a huge success so we’re going to stay open until 9:00 PM tonight. Posted in Eating Out, Food & Drink, News, Shopping, Willow Glen | Comments Off on Zanotto’s Willow Glen Market – Open! I was the only one home this warm evening and rather than make dinner for just myself I decided to try Rookies Sports Lodge. I enjoyed a tuna melt and fries while watching the Giants and Athletics on one of the many flat screen televisions. Kathleen, my waitress, made sure that my sandwich came with the onions which I had requested and later brought me another cup of excellent coffee. Rookies is a sports bar that manages to make families, couples, sport fans, and the lone diner (me) feel comfortable. The manager told me that they had a good crowd for the World Cup. The best $2.99 I ever spent was on my iPhone version of Plants vs. Zombies. This is a game which requires you (the suburban homeowner) to defend your back yard, pool, and eventually the roof from invading zombies of increasingly bizarre aspect and powers. Your defense is garden plants: peashooters, sunflowers, cherry bombs, wall-nuts, potato mines, and other creative variations. What does that have to do with San Jose? At this time of year after the unusual amount of rain, it is easy to view my Willow Glen backyard as a battlefield with the plants (and me) vs. the snails and weeds. 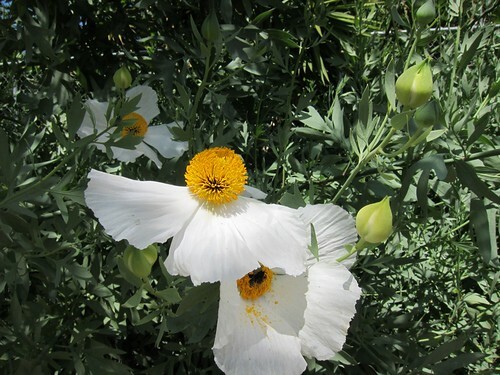 My Matilija poppies, which are now extending their huge fried egg flowers enthusiastically into the branches of the almond tree, easily seem as odd as some of the plants in the game. 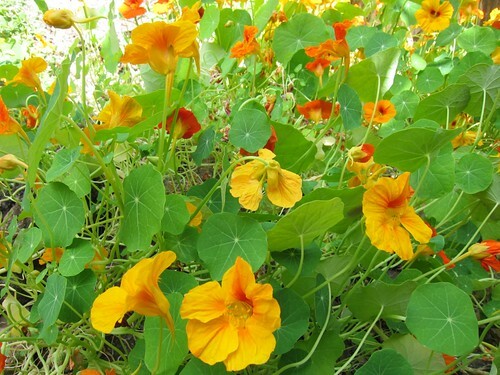 The Nasturtiums are spreading as wide horizontally as the poppies are shooting upward. 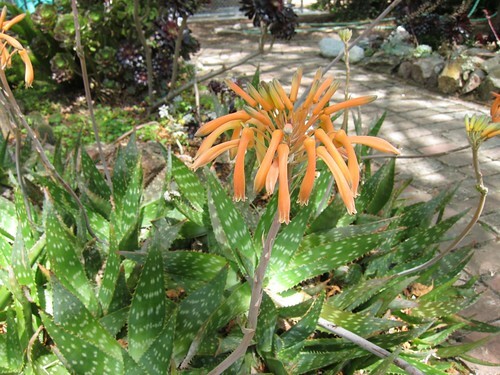 And my Aloe flowers look like orange explosions floating above the spiky plants below. When I clear my garden of weeds and snails, and when I clear my electronic roof of zombies, I feel like a heroic defender. Very satisfying. I took Katy’s advice and picked up dinner to go at the Top Nosh Cafe. I took home two pies, an apricot tart, and a coffee (ground fresh). I had intended to share some with my husband, but he didn’t make it home in time. I waited 30 minutes for him! 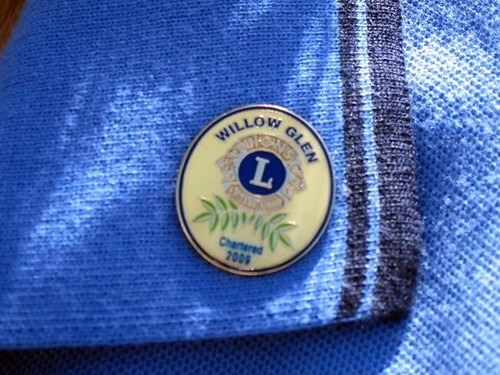 The new Willow Glen Lions Club will have a table on opening day of the Willow Glen Community Farmers’ Market on Saturday, 8 May 2010 at The Garden Theater building, 1165 Lincoln Avenue, in the heart of Willow Glen. 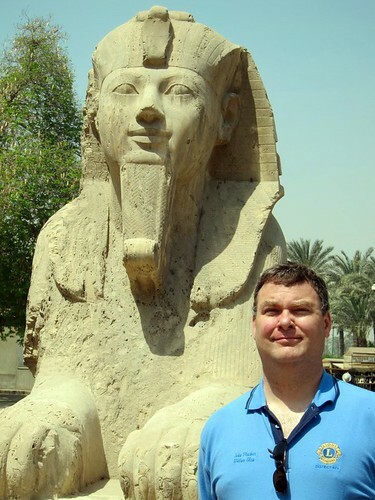 Please come visit – we welcome new members! Oh dogs, all they really want is to get out and have fun. And they can, at the K9-Karnival while enjoying the contests and the demonstrations. April 24 at the Kirk Community Center, 1601 Foxworthy Ave 95118. Events will begin at 9:30 AM and conclude at 12:30 PM. Admission is $5.00 for dogs and free for their human companions. I believe that food may be available (for both? ), but I’m not sure if it is free. Please call the Willow Glen Community Center, 448-6400, for more information. 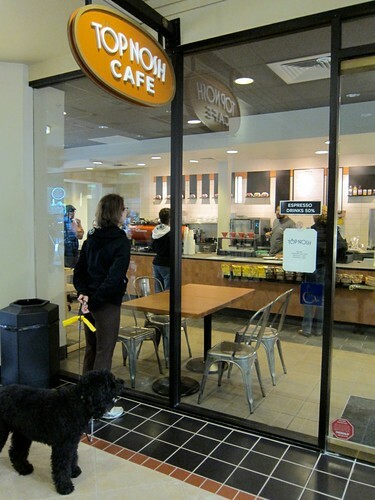 While I have been working at the Diabetes Society on the top floor of the Garden Theater building in Willow Glen, I have also been waiting for the new Top Nosh Cafe on the ground floor. 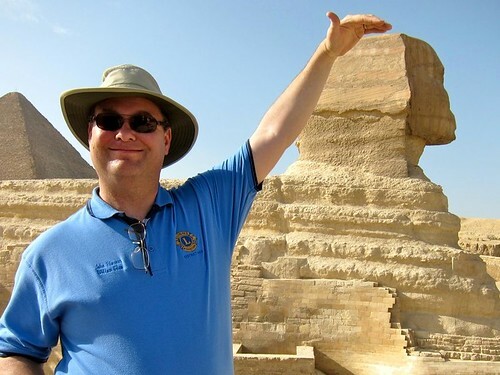 Today it opened! I was on my way across the street to Peet’s for some morning coffee when someone said that Top Nosh is now open and selling Espresso drinks for half off! 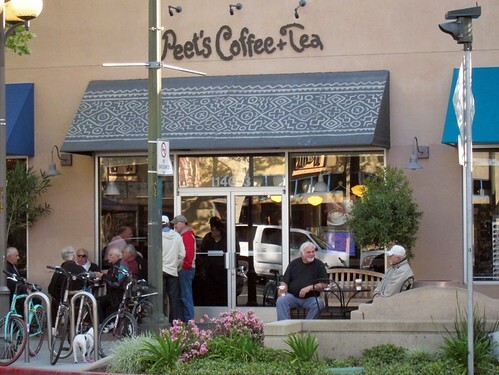 The Peet’s on Lincoln Avenue usually has an all-day crowd inside and in front, complete with dogs and bikes. I have loved Peet’s coffee ever since I was at U.C. Berkeley, near where Peet’s was born. 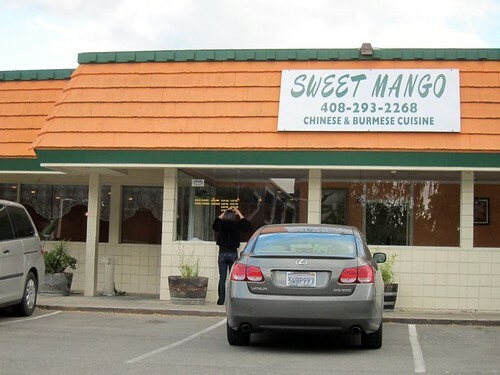 Nonetheless, I went inside to see Willow Glen’s newest restaurant. The brown paper is indeed off the windows at last and Top Nosh is open. I was delighted to find a friend behind the counter. 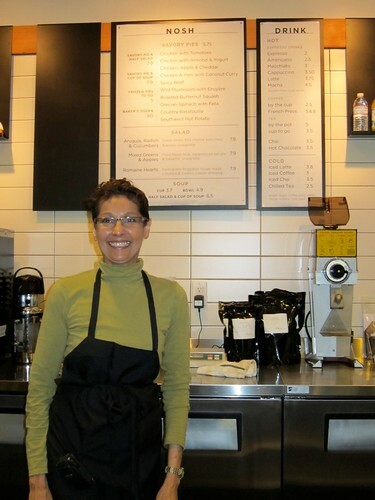 Yasmin Tyebjee is the CEO and Owner of the Top Nosh Cafe and a very good cook. She is also the Mom of one of my daughter’s Middle School classmates. Top Nosh serves breakfast and lunch and take out dinners. Check it out! Location – 1202 Lincoln Avenue Parking Lot.